Come and enjoy a day full of fun with the family at our annual Easter Sunday Brunch. 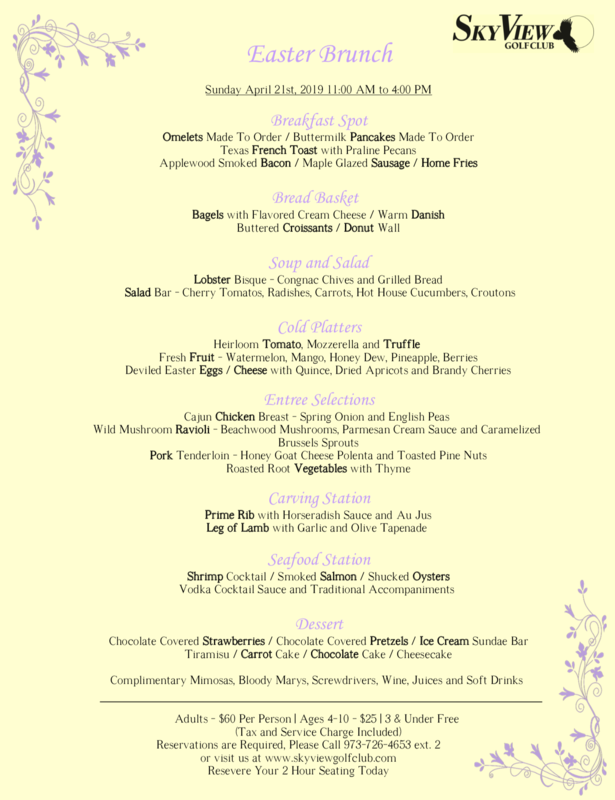 We are now taking reservations for our annual Easter Brunch. Available seatings are from 11am-3pm. Please fill out the form below or call us to make your reservation. Reservations are limited.